It was a pleasant experience for us visiting the Padmanabhapuram Palace which is located in Kanyakumari district, Tamilnadu. 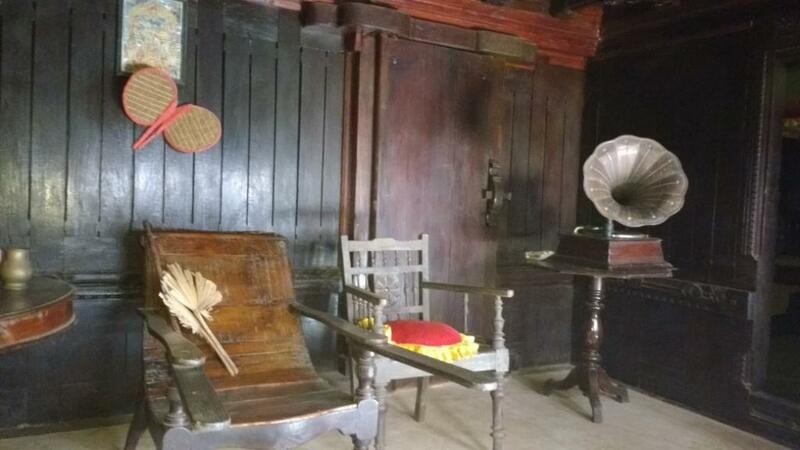 It was a family trip planned for a day during our vacation and we thoroughly enjoyed seeing the historical monument and get to know the Travancore Kingdom in detail. The Padmanabhapuram palace was built around 1601AD by then ruler Iravi Varma Kulasekhara Perumal and then rebuilt by the King Marthanda Varma. Though this palace is situated within Tamilnadu state, it is owned and maintained by the Kerala Government. We spent about 5 hours going around the Padmanabhapuram Palace and listening to the briefing by the tourist’ guide within the palace. After seeing the rosewood carvings, sculptures we realized that the Padmanabhapuram palace is the true reflection of Kerala’s unique marvelous of architecture. There is no particular dress code required to visit this palace, but we need to leave our footwear outside. Location: Padmanabhapuram palace is located nearby a small town named ‘Thuckalay’, about 20 KM from Nagercoil in Kanyakumari district, Tamilnadu, India. This place ‘Padmanabhapuram’ is known as formal capital of Kingdom of Travancore. How to reach: This palace is well connected by road from Nagercoil and Thiruvanathapuram via Thuckalay. The town Thuckalay is located on the Nagercoil and Thiruvanathapuram (Trivandrum) road. Accommodation: Various hotels and resorts available in all budgets around Nagercoil, Kanyakumari, Marthandam and Thiruvanathapuram. This palace is known for the traditional Kerala style architecture with rosewood carvings interiors. The beauty of this historic marvel attracts tourists from all part of the World to witness the complex wooden structures, design and style of bygone Kingdom era. This palace consists of large halls, big rooms filled with brass lamps, Chinese jars, weapons and antique wooden furniture. The entrance of this palace has a triangular arch which leads to other areas named Mantrasala, Natakasala, Thai Kottaram and Central Mansion. Mantrasala – This is one of the beautiful chambers in the palace, with attractive carvings all over the room. 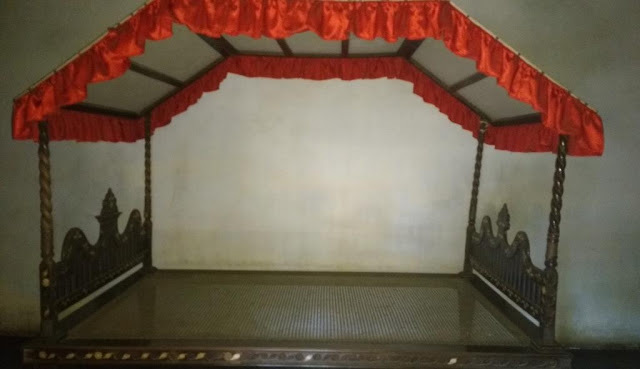 The King takes important decisions from this chamber along with his ministers. This chamber has pleasant breeze with fresh air, the specially designed windows keeps the dust and heat away. The ceiling and beams in this chamber has fine carvings all over. 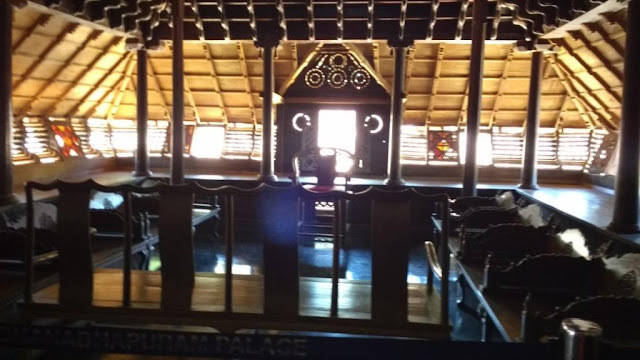 Natakasala – This is the performance hall from where King and guest sit and watch the artist’s performance. This hall has shiny black floor, and wooden area on the top with peep holes on it. Those days the women are not allowed to come to performance hall, they sit and watch the performance through this holes attached to this wooden area. Thai Kottaram – The oldest structure in the palace built with nalukettu style structure. The key attraction in this room is a pillar made up of single wood with fine engravings all around. Central Mansion – This is the four storey structure well connected with each other by wooden steps. The ground floor is the royal treasury, first floor has King’s bedroom, second floor is study room and the top floor is the worship chamber. The cot in the King’s bedroom is made up of 64 types of medicinal and herbal woods. This is one of the must visit place to experience the culture of Indian Kingdom in previous era, good to add in your itinerary if you are planning for a trip to India. All of us love to spend our vacation in Hill station under greenery trees and moving clouds. But, it becomes more expensive year on year as demand increases. It’s very difficult to find affordable vacation surrounded by natural paradise. Yercaud is one among the affordable hill station where people can enjoy the climate with their loved one, best suited for a weekend vacation. Yercaud is located in Salem district, Tamilnadu, India. The entire hill area is known as Shevaroy Hills. It is around 5000 ft above sea level. The temperature stays between 13 0C (55 0F) to 29 0C (84 0F). Coffee plantations, Jackfruits, Oranges, and Pears are grown in plenty in this region. This is an excellent weekend outing for those who love trekking. The drive through 30 KM by road from Salem to Yercaud is amazing with scenic view, it has 20 hairpin bends. There are lot of monkeys on the way waiting for food from tourists. As there are steep hairpin bends, good driving skills required to drive through this roadway. Weather: Yercaud gets average rainfall during July to September. Summer starts from March and goes till end of June. Winter season falls between November to February, temperature varies from 13 0C to 25 0C during this period. This is the best time to visit Yercaud to enjoy good weather. Languages: Tamil is the widely spoken language, and tourist can manage with English as well. How to reach Yercaud: The nearest city is Salem, which is 36 KM from Yercaud. Tourist can come by Air, Train or Road transport till Salem city. They have to travel only by road to reach Yercaud hills, driving through 20 Hairpin bends. The average distance from major cities are, Chennai 350 KM, Coimbatore 200 KM, Bangalore 240 KM approximately by road. Accommodation: There are plenty of hotels available to stay ranging from budget to luxury resorts. During peak season, one has to book the hotel in advance to ensure the availability. Yercaud Lake – It’s otherwise known as Emerald Lake, one of the key attractions for tourists in Yercaud. It is located at the middle of the town, just opposite to the Anna Park in Yercaud. It’s a natural pond, not too big or small for boating. There are lot of shops, small eateries and ample walk-way around this Lake. The boating house in Yercaud Lake has pedal, motor and row boating to meet the interest of the tourists. Pedal boat can accommodate 2 – 4 people, maximum 5 in row boat and 8 people can be seated in motor boat. There is an entry fee for the Lake and they charge boating fee separately based on the type of boat you chose, it varies from 100 – 500 Indian Rupees. The wait time is longer during peak crowded season. Except pedal boat, a boatman will accompany you during the ride. Other than boating, tourist can enjoy the scenic beauty around the Yercaud Lake and a small deer park nearby. There is plenty of parking facility available next to this Lake with small fee. It is real fun spending couple of hours in Yercaud Lake during vacation and it would be a great experience. Pagoda Point – It is located around 8 KM from the Yercaud town centre, will take 20 minutes drive by car. It is well connected by road, but one needs to be careful while approaching the spot as there is a steep narrow road to reach the Pagoda Point. There are plenty of Autos available to hire from Yercaud town if you don’t prefer own drive. Pagoda Point is the highest tip in Yercaud on the Servarayan hill at 5300 feet from the sea level. It provides good panoramic view of scenic beauty, best time to visit this place is during sunset and sunrise. There are small shops in this place selling toasted corns, biscuits, fruits, water and games for children. A small watch tower with telescope is available to see the view from this spot. Pagoda Point is one of the must visit places in Yercaud. The best time to visit this place is during September – January to experience the cloudy nature. 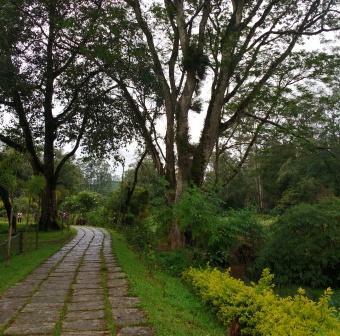 Botanical Garden – This is just 2 KM away from Yercaud Lake, well connected by road. Yercaud Botanical Garden is a lovely place to see the beautiful plants and large trees. There are wide ranges of plants labelled with their botanical names. 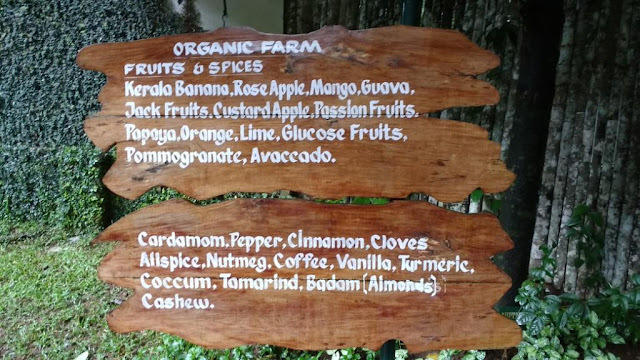 But this place can’t be compared with Ooty Botanical garden as Yercaud Botanical garden is primarily to research rare plants, herbs and trees in natural surroundings. This is a good place for botanical students to study various plants and trees. Tourist visiting this place should keep the expectation minimal as there are lot of room for improvements and maintenance. Killiyur Falls – The best time to visit nearby Killiyur falls in Yercaud is just after rainy season, mostly after October, otherwise there won’t be any water in the falls. Good to check with localities on the water flow before planning a visit. Be prepared for a good walk towards downhill from Yercaud to reach the Killiyur falls. It it’s worth for fitness freak to try this long steep stretch in forest like environment. It is not advisable for elders and children as there are around 300 steps to climb down and up. It is advisable to carry a bottle of water as climbing up from the Killiyur Falls is very exhaustive and tiring. Be careful if you are carrying any food items as there are lot of monkeys around. 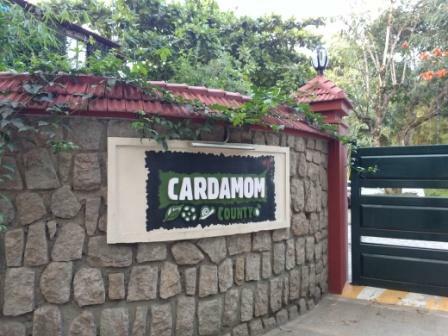 During our vacation in Thekkady, we have booked our stay in Cardamom County Resort, one of the star properties in Thekkady located at the heart of nature. It is about three kilometers away from the Thekkady boat-house, the cottages are well placed on the sloping hills facing the Periyar Tiger Reserve. The Cardamom County cottages built amid of a natural retreat surrounded by beautifully landscaped garden in multiple levels and giving an excellent view to the aesthetic swimming pool centrally located. The cottages have large, spacious bedroom and a private sit-out to relax in the cool weather listening to the chirping birds. This property has a long walkway with ups and down for a pleasant morning and evening walks. We were offered with traditional welcome by the front office upon reaching the resort after long drive. They briefed on various facilities within the resort, in-house activities, garden walk and booking assistance for outdoor activities. We were impressed by the well planned professional approach of the reception staffs on receiving the guest. Every other staffs we interacted within this resort during our stay know how to create positive impact by simple gesture; they all well trained on customer friendliness. In Cardamom County resort there are three types of cottages namely Periyar cottage, County cottage, and Suites having views to bamboo forest, spice gardens. The cottages has spacious bedroom with A/C, Suits have living and bedrooms with wide range of views. The cottages have all basic amenities such as Wifi connectivity, safety locker, coffee maker, hair dryer, dental and shaving kits. The Cardamom County resort offers various leisure activities like spice garden walk, spa, swimming pool, and indoor games. The restaurant within this resort provides multi-cuisine tasty foods with complimentary breakfast. 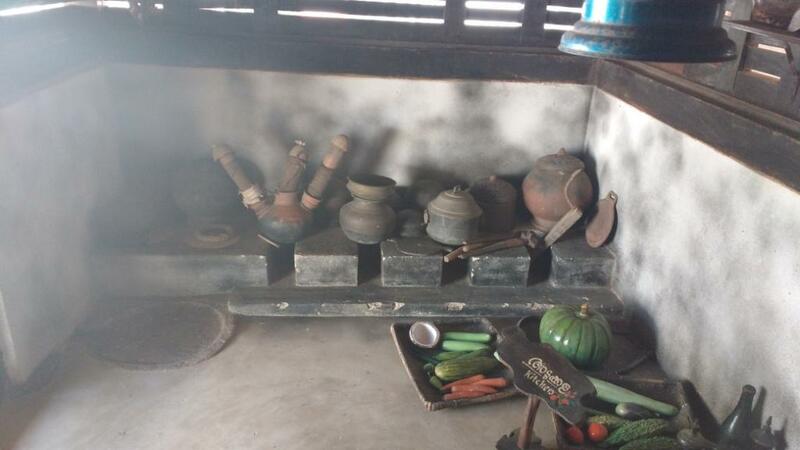 We enjoyed traditional Kerala food prepared using the vegetables grown in the garden within this resort. It has own wellness centre named “Ayura” introducing ayurvedic way of healthy living. The time spend in this wellness centre rejuvenate the body and soul. As the Cardamom County resort located very near to Thekkady market centre, we walked to the town in the evening for shopping, it is a good place to buy species and chocolates. The Kerala traditional martial arts program Kalaripayattu and Kathakali Dance shows are within short walk from this resort. The front office in Cardamom County provides booking assistance for these shows. The elephant ride and elephant bathing, the two main attractions in Thekkady are easily accessible from this resort, transportation can be arranged through front office. Though the resort located nearby town, the place is very quiet and peaceful away from noises. Cardamom County resort is ideal for families, safe place for peaceful vacation. It is a great place to stay for holidays with easy access to key locations nearby Thekkady. There are plenty of options available to book this resort with deep discount. Honey Bee Tree is one of the key attractions in Munnar. It is located on the way to Mattupetty approximately 4 KM from Munnar town. 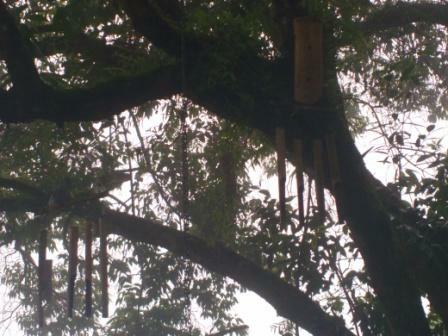 It is a big tree, having many beehives hanging from multiple branches. It is one of the must visit place during Munnar vacation. As it is located on the main road, tourist finds it easy to stop over for about 30 minutes to enjoy this place and take photos. This huge Honey Bee Tree has more than 70 Beehives hanging from top of the tree. There are many trees nearby, but there are no Beehives in them. Though there is no proven reason why this tree attracts thousands of bees, someone said that it is because of the aroma of the flowers in that tree. This reason could be wrong, not sure. This place is one of the good view points to spend time during Munnar vacation. Blossom Park, also known as Hydel Park is one of the beautiful attractions in Munnar, spread across 16 acres of green land. It has beautiful lawn, plants, artificial fountains, small lake and flowers all around. There is a channel on the sideways of this Park, the water flow from beautiful Muthirappuzha river in this channel adds beauty to this garden. The Blossom Hydel park has a walk way around to have a pleasant evening walk for the visitors, it has a children play area for the kids to have a good time. This garden has greenly stunning view all around and this park is the place to enjoy the evening with family and loved ones while in Munnar for vacation holidays. The Blossom Hydel Park in Munnar has one of the oldest PowerStation, but unfortunately it’s not working now. The Pallivasal Hydro Electric Project is located near this Hydel Park. During season time, flower show conducted in this Park. There is a fish aquarium located within this park, visitors can enjoy seeing different breed of fishes. The floral decoration and animal statues are soothing experience to the eyes. After a day long sight seeing in Munnar, this park is the place to relax while kids can play around. You can simply sit in a shade enjoying the aroma of flowers and bird watching. Location: Blossom Hydel Park is located about 3 KM from the Munnar town on the way to Cochin, near the Muthirappuzha River. This park is located few meters away from KSRTC bus stand. Place to relax after visiting the park: There is a Coffee Day restaurant within this campus for refreshment. Tourist can buy homemade sweets, wooden toys, Kerala Saree, bags, Tea packets etc. in the shop nearby. Best time to visit:September - March. Entry Fee: Rs. 30/- per person, camera fee extra and separate car parking fee to the park. 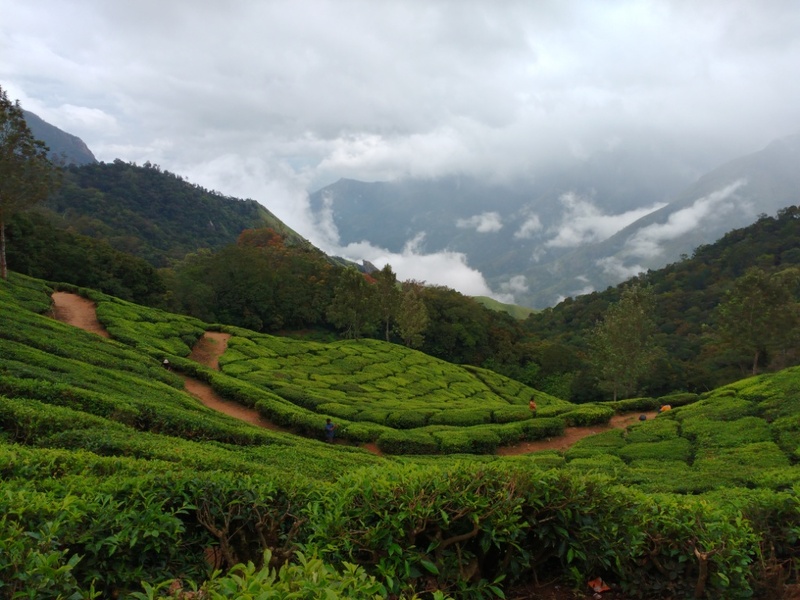 Vacation in Munnar is a pleasant experience, it is one of the amazing hill stations where we can enjoy the chill climate midst of clouds throughout the year. Munnar is located at the Idukki district of Kerala State in South India. Munnar attracts honeymoon couples and tourists all through the year. Munnar is a perfect place for a vacation during long weekend. Its’ greenery nature, cool refreshing air, marvellous sceneries mesmerize everyone to enjoy their vacation. The word "Munnar" means three rivers flowing together in a place; it’s in the mid of three mountains namely, Mudrapuzha, Nallathanni and Kundala. It was one of the summer resorts for the British Government in South India. Munnar is located 1600 meter above sea level in the range of Western Ghats Mountains. 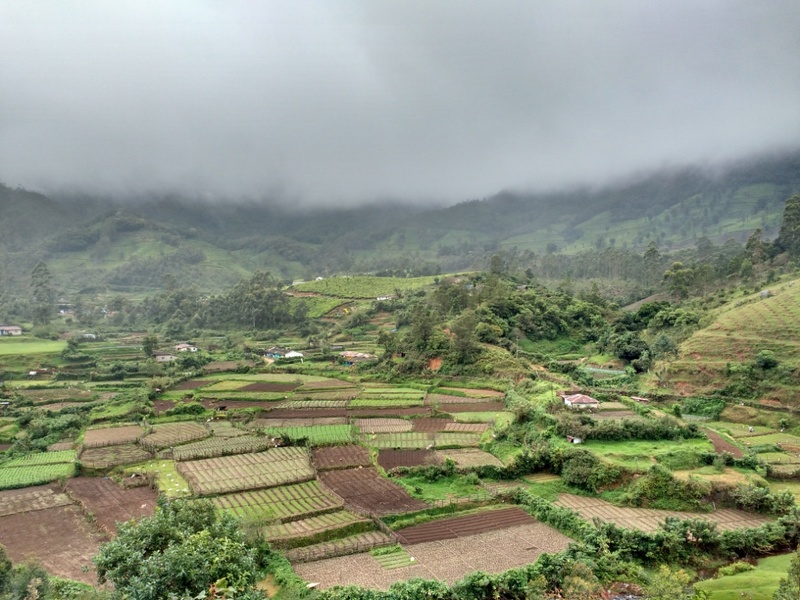 Munnar has been fully covered with sprawling tea plantations, waterfalls, cloudy trekking locations. 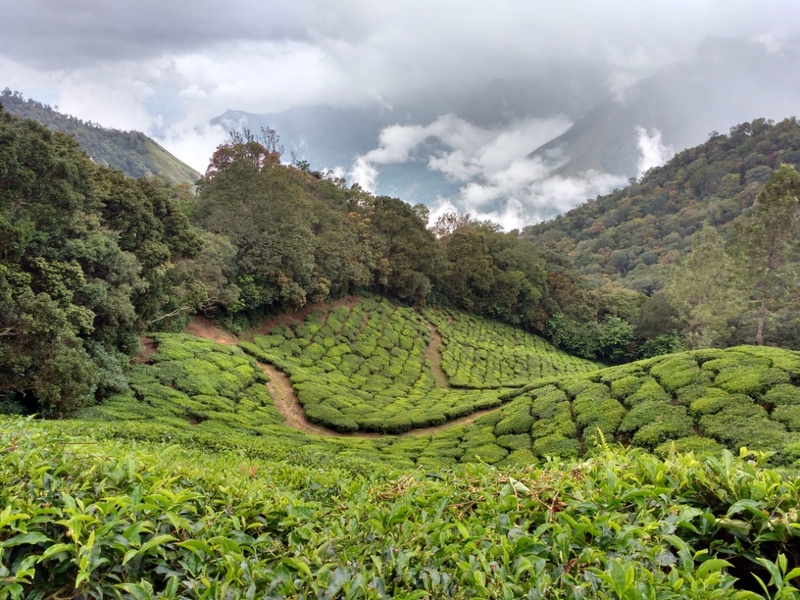 Munnar is one of the major centers for Tea Plantations in India. Neelakurinji flower is one of the attractions in Munnar which blossoms once in twelve years. Anamudi in Munnar region is the highest peak in South India which is about 2695 meter high from sea level. Best Time to Visit Munnar: Tourist can visit Munnar throughout the year except June – July as there will be heavy rain during this period. Best season to visit Munnar is August through March. The weather is extremely cold during winter, December and January. This is the best time to visit for those who love trekking. Nevertheless, Tourists recognised Munnar as an all season destination for vacation. Weather: Munnar has pleasant weather all through the year, temperature ranging from 0°C to 10°C in winter and 15°C - 28°C in summer. Shopping: There are plenty of shops in Munnar to buy natural spices, oils, tea and homemade chocolates. 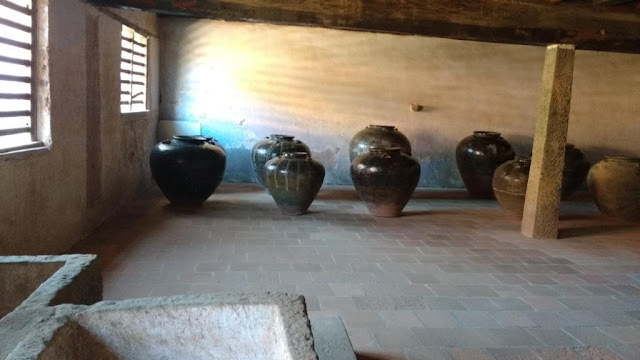 Tata Tea Museum – Located 2 Km from Munnar Centre on the Nallathany Road – Tourist can see the Tea machineries, tea processing and tea tasting in this museum. Anamudi – One of the highest peaks of South India, great place for adventurous trekking. Photo Point: This is one of the amazing places nearby Munnar surrounded by Tea plantations, best suitable for photo shoot. It is located just 2 KM from Munnar town. Echo Point: There is a small Lake surrounded by hills in this place. If you make any loud sound from a spot on this lake it will be echoed multiple times from the hills around this lake. Tourists enthused to call their loved ones from this place. It is located about 15 KM from Munnar town. Kundala Lake: Tourist can hire pedal or row boat to go around this lake, it is surrounded by scenic nature. It will be good to spend 30 – 60 minutes on the boating, will give you memorable experience. This place located around 20 KM from Munnar town. Top Station: This is on the Kerala and Tamilnadu border, where we can feel the clouds around us, a chilling experience. It has amazing view on the Western Ghats. It is located about 35 KM from Munnar town, car, jeep can be hired to visit this place. Mattupetty Dam: It is located about 10 KM from Munnar town, best place to visit with children. This is one of the popular outing spot in Munnar where we can go for boating, horse riding. It has good scenic view around. Flower Garden: There are varieties of plants maintained here in Flower Garden. It is one of the beautiful places for photography in Munnar. We can feel the mesmerising aroma when walk around this garden, must see place during Munnar vacation. It is located just 2 KM from Munnar town. Elephant Safari: Children loves this place, there are about 6 – 8 Elephants available for a ride with an entry fee per person. During season, there will be more crown, good to pre-book for the Elephant safari. Jungle Honey Bee Nest: In this place, there are multiple honey hives on a single tree. Nobody knows the reason why bees choosing this tree, but looks amazing to see these bee nests. Blossom Park (Hydel Park): This is located just about 1 KM from Munnar town. It is a greenery park with good walk way to go around, tourist can spend 45 – 60 minutes during their visit to Hydel park. Pothamedu Viewpoint: It is an amazing place, located about 5 KM from Munnar town, it has beautiful view amid of passing clouds. Pothamedu Viewpoint is an excellent place for photographers as it has wonderful scenic view surrounded by Tea and Cardamom plantations. There are many resorts available in Pothamedu, staying here for a vacation gives you a pleasant experience. Spice Garden: In this place, there are multiple spices plants like cinnamon, ginger, pepper, cardamom etc. It is a good place to visit to know more about these natural species and its health benefits. Attukal Water Falls: This place is a scenic beauty where tourist can enjoy the falls going through the jungle. It is located about 10 KM from Munnar town. Kolukkumalai: It is located around 7100 feet above sea level, the Tea estate located here is the World’s highest Tea plantation. Tourist can visit this place by hiring a Jeep, it is located around 30 KM from Munnar town and it takes around 60 minutes to reach this place. It has excellent view with clouds passing by, a must visit place in Munnar. There is an old Tea factory functioning in Kolukkumalai where visitors can try different taste of tea and buy them from a sales outlet. Anamudi Peak: It is home to large number of Asian Elephants, Nilgiri Tahrs, Gaurs, located about 8800 feet from sea level. Anamudi peak also known as Anai Mudi peak is the highest point in India outside Himalayas. It is a greed forest, good place for trekking. The entry point is the Eravikulam National Park, we need to get permission from authorities for trekking. Eravikulam National Park: This park spread over 97 square kilemeters, has largest number of Nilgiri Thar, which is also known as mountain goat. This park has wonderful view among tea plantation by passing clouds. Eravikulam National Park is one of the must see places during Munnar vacation. This park closed from February to March every year primarily for the breeding program of Nilgiri Thar. It is located about 13 KM from Munnar town. Chinnar Wildlife Sanctuary: This is located in Kerala adjourning Tamilnadu, a protected location in the Western Ghats. It has diverse ecological system with varieties of plants home for deer, gaur, elephant, crocodile, tiger, and many birds. This is located around 50 KM from Munnar town on the way to Udumalpet. Tata Tea Museum: This Tea museum owned and maintained by Kanan Devan Hills Plantations (KDHP), located around 2 KM from Munnar town. This is good place to visit and spend 2 – 3 hours to know about Tea processing and history of Tata Tea factory. They show a short video to highlight the history of Munnar and the development of Tea plantation from early years. Marayoor Sandalwood Forest: There are see naturally grown sandalwood trees in large numbers in this forest. Tourist can enjoy natural caves, remaining footage of Stone Age civilisation, Sandalwood factory owned by Forest Department of Kerala. This is located about 40 KM from Munnar town on the way to Udumalpet. Air: The nearest airport is Cochin – 110 KM from Munnar – Around 4 Hours journey by road. The Madurai & Coimbatore Airports are at 165 KM, takes 4 hours by road. Rail: The nearest railway station is Ernakulam – 125 KM from Munnar – 4 Hours journey by road. The Aluva Railway station located at 110 KM, takes around 3 hours by Road. Accommodation in Munnar: There are plenty of hotels and resorts available in Munnar in all budgets to meet the needs of wide range of tourists. The price starts as low as Rs 500 per day. It will be good to book the hotel in advance before coming to Munnar as the price will shoot up during peak season. By having a vacation in Munnar, we can enjoy wonderful views, breathing clear and unpolluted air, relaxing environment in amazing location amid nature. It will be a memorable experience for years to come. The Madras Crocodile Bank is a best suitable place for a weekend trip from Chennai. It is located 45 KM (25 miles) from Chennai, 15 KM north of Mahabalipuram a tourist attraction on the East Coast Road (ECR) in Tamilnadu, India. It will take about an hour travel by road to reach this place from Chennai, comfortable distance for a weekend trip with family and friends. It is located at the coastal land nestled with natural forest environment. This coastal line has large breeding place for water birds and sea turtles. The Crocodile Bank plays a very important role in spreading awareness on the ecological benefits of crocodiles. This is one of the largest reptile zoos in the World and Asia’s first crocodile breeding centre. This Crocodile Bank was created with an objective to safe guard three crocodile species namely, saltwater crocodile, gharial and mugger crocodiles. The Gharial is also known as gavial, it is a fish eating crocodile and Mugger crocodile is also known as Marsh crocodile. Initially, the Crocodile Bank was built as a repository of crocodiles for safe grooming with protection and later released to wild environment. Over a period of time, releasing crocodiles into wild habitat was stopped due to lack of suitable environment. After years of crocodile protection, Crocodile Bank expanded with Lizards, Snakes and Turtles. This Crocodile bank is more than a zoo, best place for crocodile conservation, breeding, safe guarding and research. Crocodile Bank has more than 2500 reptiles from all around the World. It has wide collections of crocodiles and alligators. From the beginning, there were thousands of crocodiles released back to the wild, sent zoos across the World. It is home to variety of crocodile species which are kept in bunches in separate open ponds, it’s very rare to see them moving around. But, when a staff throws a piece of meat we can see the activeness of these crocodiles. It’s awesome to see the way it catches the food from the feeder. The key attraction is the giant crocodile ‘Jaw’ which is a ‘much see’ in this Crocodile Bank. This famous celebrity in Crocodile Bank is the largest crocodile in captivity, in India may be in the World. It first arrived into the Crocodile Bank in 1976, first few years it looks normal then outgrown in size. The authorities kept ‘Jaws’ in a separate pond due to its’ size and strength. Visitors can watch the feeding session for this Jaw at 4:30 PM on Sundays. The Crocodile feeding session should not be missed by the visitors; it is on Sundays at between 11:30 AM, 12:30 PM, 4:30 PM and 5:00 PM. The Crocodile Bank’s experts provide weekend guided tour with presentations about Crocodiles and other reptiles. Though this Crocodile Bank originally started with conservation objective for crocodiles, it becomes weekend spot now. Visitors will get interactive experience in guided tours organized by Crocodile Bank officials, can gather interesting information about these species, it is a great place for research students. No one should miss the Snake Venom centre in this park where they demonstrate the venom extraction which is used for making anti-venom medicine. It is a spine chilling experience to see the deadly poisonous snakes are handled at ease by professionals. This Crocodile Bank also conducts education programmes for school children, environment enthusiasts and do village trip, field camps on a regular basis. Also, it serves as a large natural laboratory for research students to study the behaviour, features, breeding of the reptiles within close range. Location - East Coast Road (ECR), 45 KM from Chennai on the way to Mahabalipuram, Tamilnadu, India. 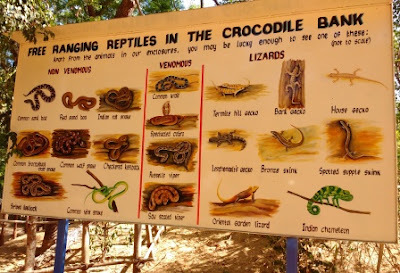 Apart from visiting this Crocodile Bank, if you love reptiles, you can engage with them in multiple ways. If you are interested in any of the below you can connect with Crocodile Bank’s authorities for the application. Volunteer Program: This is for enthusiasts who is 18 years and above. 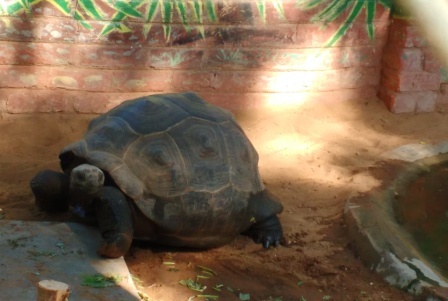 Volunteer gets an opportunity to work throughout the Zoo on various tasks. There are many ongoing interesting projects in which you can get engaged. Dormitory (shared) style accommodation, Indian food provided for the volunteers. Crocodile Bank welcomes volunteers with minimum 2 – 4 weeks duration. Docent Program: This is a long term engagement with Crocodile Bank. In this program, they teach the participants on all basic skills required for the conservation of reptiles. If anyone aged above 18 years, staying around this Crocodile Bank, within 50 KM and can spend at least one day in a month can join this program. Film Making: it offers best environment for wildlife documentary and films. It acts as a facilitator for various production companies. If you are interested to take documentary film on wildlife reptiles, connect with them to get a schedule. Donate: The wildlife enthusiast can engage with Crocodile Bank by offering donation to support their conservation and operational goals. Adopt a Reptile: If you find any favourite reptile in the Crocodile Bank, you can adopt them. The reptile continues to live in the zoo, but your support will help to maintain them and conservation. The word ‘Travel’ mostly refers to Tourism which becomes integral part of our life. It may be for recreational or business, it is vital to rejuvenate ourselves in today’s fast paced Wold. Now Health Care tourism is getting popular in most of the developed countries. People use Bus, Train, Ship or Airplanes as a mode of transport during their travel. This sounds simple, but it involves lot of planning, budgeting, and coordination between different parties. To cope up with high stressed jobs, it’s good to have vacation twice in a year. We might not have time to plan our travel well ahead of time. There are travel agencies to overcome this and they help from booking tickets to reserving hotels and taking care of our entire travel through tour packages. Packaged tour is a good option if you do not have time to plan your travel. This helps to visit new places with guidance at minimal cost. Also, we can get good amount of discount for our bookings. At the same time, we should be very careful in choosing the travel agencies, should go with the one which has good repute in the market. Teens shouldn’t miss the study tour during their school or college days. It will be a good experience and they never get such opportunities again in life. Yes, enjoying tour with school or college friends is an unforgettable moments in one’s life. The fun and joy we undergo will remain in our memory forever. Even there is a saying that "Take a year off after college, go around Europe before settle down in a job"
Parents should encourage their children to go for places to learn different cultures, societies, opportunities around the World. This will be a life lesson for the children at their early age which helps to face the World with more courage in future. Wigs are no more only going to be used by those people who lost the hair as younger generation started buying wigs to periodically change their look to catch the trending fashion. It becomes a style quotient and no more a hidden thing. It often brings compliments to you as people think that you are having a stylish haircut without knowing that you are wearing a wig, thanks goes to the latest design, technology, innovation developed in wigs’ industry. Apart from giving new look and style, wigs helps to save money by having limited visit to the saloon for haircut and coloring. All these features influence people buying wigs to try new style. Wigs are typically made from human hair to give natural look although synthetic fiber also used in some wigs. Wig has long history of use, ancient Egypt used to have their heads shaved to the scalp, and hence they started using wigs to cover up. The trend slowly caught up on other cultures and people started buying wigs to give new look for them. It took many centuries for the wig to go through the makeover to the one what we are seeing today. Choosing wig: At the beginning, when you start wearing wigs, it is advisable to stick to your own style. It helps to select the wig with appropriate length, texture, color and style. You can slowly add on the changes over a period of time once you used to get wearing the wig. Keep the budget fixed before going for the selection. There are endless opportunities with different styles to experiment for the better look. Do all your research and plan well before buying wigs. Get your cap-size right: This is like selecting your dress with appropriate size. You need to take correct measurement by three way approach to choose the right wigs. Though most of the wigs fit almost 95% of the people, it is good to go with proper measurement while selecting the wig. You can consult professional for the measurement if required. There are wigs with adjustable straps to get the required comfort and fit while fixing. The cap comes with different features like 100% hand tied, mono-filament, lace front and basic cap. This is based on the method of attaching the hair with the cap, each type having its own advantages. You need to make sure the cap size before buying wigs. 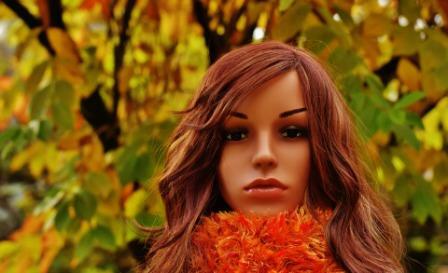 Type of hair: Both human and synthetic hair wigs having its own pros and cons. The human hair wigs are natural, hence it require lot of attention and maintenance. On the other hand, synthetic hair wigs can’t be used in hot environment, need to be more careful while using dryer. The human hair wigs are more durable than synthetic hair wigs. Style selection: Wigs comes in different styles, you can choose wigs with short, medium and long hair to align your natural style. Similarly you can choose variety of colors and its combination based on your interest. Select the wig based on your face shape, round, oval, or square. Don’t overdone, choose carefully that suit your face and body size. At the end, it is all about how you care your wigs. The beautiful wigs always deserves great care to keep you pleasant when you wear it. Before buying wigs, keep this in mind that wearing wigs require extra effort to maintain it.